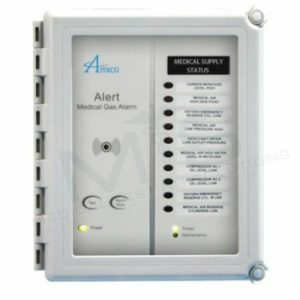 The Compact Digital Alarm system shall be an Amico Alert-2 Series, complete with a five-year warranty. Each module of the Compact Alarm shall be microprocessor based with individual microprocessors on each display and sensor board. The sensors shall be capable of local [in box] or remote mounting. 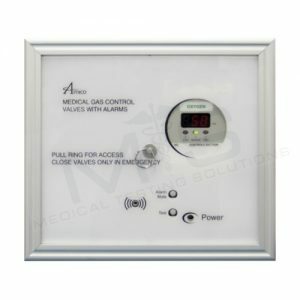 Each sensor and display unit shall be gas specific, with an error message display for an incorrect connection. 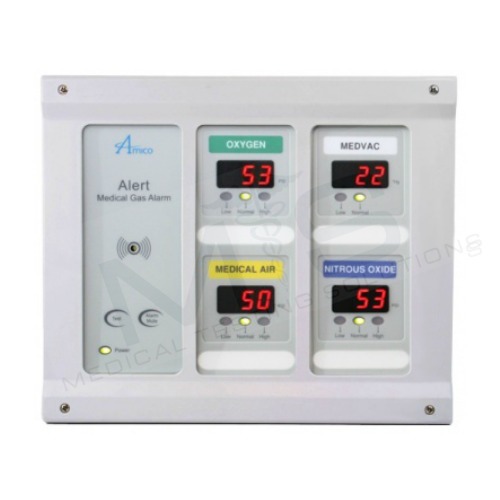 The Amico Alert-2 Compact Alarm can accommodate up to 12 gases. 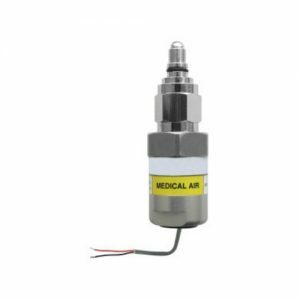 Each specific Area service for the Compact Alarm shall be provided with an LED digital read-out comprising of 0-250 psi [0-1,724 kPa] for pressure and 0-30 inHg [-100-0 HgkPa] for vacuum. 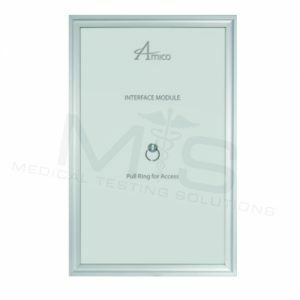 The digital read-out shall provide a constant indication of each service being measured. 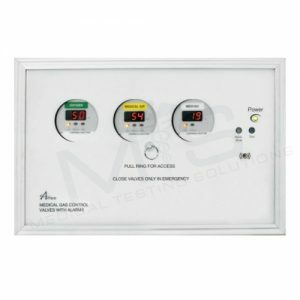 It will indicate a green “NORMAL” and a red “HIGH” or “LOW” alarm condition. If an alarm occurs, the “RED” alarm light shall flash and the audible alarm will sound. Pushing the “ALARM MUTE” button will cancel the audible alarm, but the unit will remain in the alarm condition until the problem is rectified. The default set point on the Compact Alarm shall be +/-20% variation from normal condition. 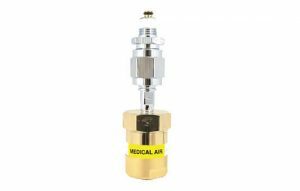 In the calibration mode the following parameters shall be field adjustable: High/Low set-points, Imperial/Metric units, Repeat alarm Enable/Disable. Set points shall be adjustable by two on board push buttons. 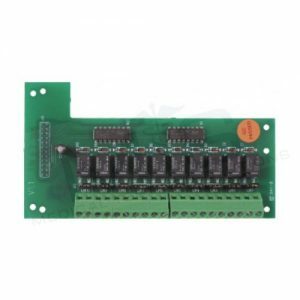 Each Compact Alarm module shall be microprocessor based and be field adjustable. A repeat alarm function shall, when enabled on the Compact Alarm, be capable of turning on the buzzer again [after a preset time] if the fault condition has not been rectified. The box shall be fabricated from 18 gauge [1.3 mm] steel with 1/4″ [6.4 mm] I.D. type “K” copper pipe for connection to the service line. The box mounting brackets shall be adjustable to accommodate for different wall thickness. 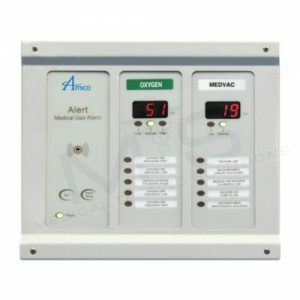 Input power to the Amico Alert-2 alarm is: 115 VAC to 220 VAC, 50 to 60 HZ. 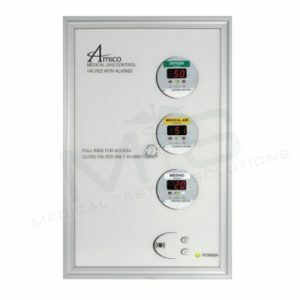 Amico products comply with NFPA 99 and CSA Z7396.1. 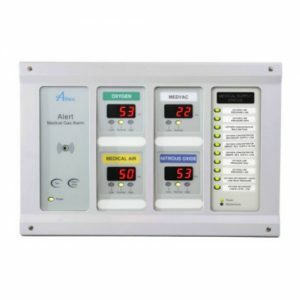 The Amico Alert-2 Alarm complies with the following electromagnetic compatibilty standards: FCC Part 15 Class A and ICES-003 Class A.